Australian Professional Skills Institute has leading academics and industry experts on their industry advisory board. The main focus of the industry advisory board is to ensure Australian Professional Skills Institute maintains a leading and innovative edge on training programs, student services and industry practice. APSI consults regularly with its board members to ensure students receive up-to-date training and relevant work experience upon graduation, making our graduates highly skilled and sought after. The board members reflect a diversity of professional backgrounds and include representation from the university, hospitality and food, business/commercial and vocational and education training sector. Dr Stockley is a former academic who became a senior manager in universities specialising in international education in Australia and Asia and is now a company director and consultant working in higher education. Dr Stockley specialised in higher education management, strategic planning in higher education, transnational education business planning and risk management, quality assurance in international education, marketing and recruitment for international students. Dr Stockley now consults with a number of universities in Europe on strategic planning for internationalization, market branding and positioning and change management. 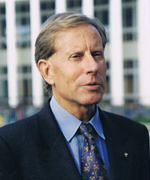 Dr Stockley was the Pro-Vice-Chancellor (International) of La Trobe University from 1997 to 2007. Dr. Stockley holds a PhD in History from the University of New South Wales, Diploma of Teaching and B.A. (Hons) from the University of Adelaide. Dr Stockley is a fellow of Australian Institute of Company Directors. Jamie is the Adjunct Professor at the University of Eastern Finland and taught at the University of Western Australia and Murdoch University. Jamie’s hospitality background and an MBA from Michigan State University led to European marketing manager for PowerBar and Greg Lemond Bicycles, and both an MS and PhD from Florida State University. Jamie chairs the Google Ad Grants Online Marketing Challenge, ensuring the Challenge provides a solid academic experience for the students and worthwhile consulting for the participating non-profit organisations. His industry and academic experience spans five continents and includes hundreds of publications in academic journals, international conferences and leading newspapers such as The New York Times and Wall Street Journal. Professor Murphy’s research includes food waste, robotics, Massive Open ONline Courses (MOOCs) and effective Internet use for citizens, businesses and governments. His academic passion, however, is teaching and mentoring great students. Jurgen Baumhoff, CEO & Founder of OSBW (Australia) Pty Ltd was born in October 1952 in Germany and graduated from Management School in Munich with a BA in Hotel Management. He received his further basic training in Hospitality in Switzerland. He is a member of the Global Hoteliers Club having worked on Four Continents, and a member of the World Travel & Tourism Council (WTTC). He is also a member of the Rotary Club of Perth (Paul Harris Fellow) and has been a panel speaker at several International Hotel Investment Conferences in the past. Starting his career in 1973 as a Management Trainee with the Kempinski Hotel Group, he has since worked in senior management positions with major leading Hotel Brands around the globe, i.e. InterContinental (IHG), Hyatt, Marriott, Ritz Carlton, Four Seasons, Sheraton and Moevenpick. His extensive experience covers Europe (Germany, Switzerland, France, England, Israel) Asia (Hong Kong, Singapore, Thailand, Malaysia) Middle East (Qatar, Egypt, Bahrain, Dubai) and Australia. Mr. Baumhoff recently returned to Australia from Dubai where he was responsible for the operation for Emaar Hospitality Group, owners and operators of the Address Hotels & Resorts Brand and several Lifestyle leisure business units including golf clubs, a Marina and Equestrian & Polo Club in the UAE. Mr Baumhoff is the Director of Hospitality & Partner in “Inspire WA”, a planned integrated resort precinct in Perth, Western Australia. Mr. Baumhoff is the General Manager and Regional Manager Switzerland of the Intercontinental Hotel in Geneva, Switzerland. 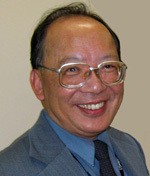 Dr Ho graduated from the University of Hong Kong Medical School in 1974. After completing his internship in Queen Mary Hospital, he came to Australia where he served in the Mater Misericordiae, Newcastle, NSW. The following year he joined the Royal Perth Hospital, where he undertook his higher training, eventually qualifying as Consultant Physician and Geriatrician, with Fellowship of the Royal Australasian College of Physicians. After further training in Glasgow University, Scotland, in 1985, he took up appointment as Consultant Geriatrician in Osborne Park Hospital. In 1987 he joined the Department of Rehabilitation and Aged Care at Sir Charles Gairdner Hospital, where he had been working since. He is a Clinical Lecturer in the University of Western Australia. In 2002 he was awarded Fellowship of the Royal College of Physicians of Edinburg. He is currently a member of the Australian Society of Geriatric Medicine, the International Psychogeriatrics Association, and an Associate Member of the American Association of Geriatric Psychiatrists. He is also on the Board of Advisors of Chung Wah Association Community and Aged Care, Western Australia. 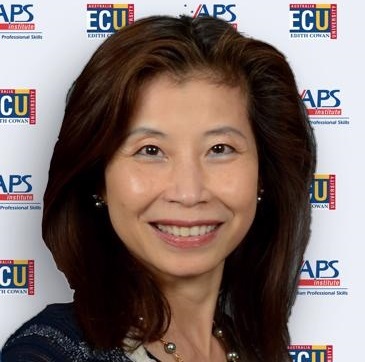 As a geriatrician and a Delegate of the Aged Care Assessment Team, Dr Ho has been involved in the medical and health care of the elderly for the last 25 years, and has acquired an extensive and intimate knowledge of the health care system in Australia, and, in particular, the sometimes-complicated network of Aged Care provision, both in the acute hospitals and in the community, and the interface between the two. As the consultant physician in Geriatric Medicine, Dr Ho understands the needs and support required by Australia’s ageing population. Dr Ho will actively involve in the development of curriculum and teaching effectiveness of the Australian Professional Skills Institute. Jackson’s Restaurant, which was considered the number one “special night out” destination for many years, before closing in 2014, introduced degustation menus to Western Australia. The restaurant won a number of awards, including Restaurant of the Year, by The West Australian Good Food Guide in 2011. Neal’s culinary style is based on French technique with the use of Asian ingredients and a little touch of British. In 2013, Neal announced that he would be retiring after a highly successful 48-year career, however, he now consults with many venues such as the Amelia Park Restaurant in Margaret River and attends regularly food fairs in China. Liza has over twenty five years of experience in international education and vocational education and training in Australia. Liza has held senior marketing and management positions in leading vocational and higher educational institutions in Perth and in Sydney. Liza is the Principal Executive Officer (PEO) of Australian Professional Skills Institutes since its inception in 2009. She takes on the leadership role to grow Australian Professional Skills Institute into a high quality, progressive thinking registered training organisation in Western Australia. Liza draws her international management experience from Hong Kong, Macau and Switzerland where she spent early days of her hotel management career as a trainee in renowned hotel Chateau d’Ouchy in Lausanne. Liza holds a Masters Degree in Marketing from the University of Western Australia, a Bachelor degree in Commerce (major in Marketing and public relations) from Curtin University of Technology, a Higher Diploma of Hospitality Management from the Hong Kong Polytechnic University, a Diploma in Vocational Education and Training, a Diploma in Training Design and Development and a Certificate IV in Training and Assessment. Liza also holds a Diploma in Interpreting from TAFE and is a NAATI accredited translator in Chinese language. Liza is fluent in Chinese (Mandarin and Cantonese) and Portuguese Languages.